Ottmar Liebert’s global success can be attributed to a myriad of things - his creative vision, his determination, and a strong sense of melody. His musical style is a mix of Spanish, Mexican and World elements, featuring strong melodies tinged with a shade of melancholy, and balanced with upbeat rhythms. Liebert founded the first incarnation of his band, Luna Negra, in 1989. His debut album, recorded for less than $3,000 on an old analog machine in a shack beside a gravel pit, this CD became an international sensation, establishing Liebert's unique border-style flamenco, and becoming the best-selling instrumental acoustic guitar album of all time. Liebert has since become one of the most successful instrumental artists of the past decades, entertaining audiences around the world and releasing a catalog of 33 classic albums including live recordings, an orchestral album for Sony Classical, a binaural surround sound recording, remix albums, a lullaby and a flamenco-reggae album. Ottmar Liebert and Luna Negra have played two concerts with the New Mexico Philharmonic, both of which have broken attendance records for the orchestra. During his career, he has played more than two thousand concerts worldwide. 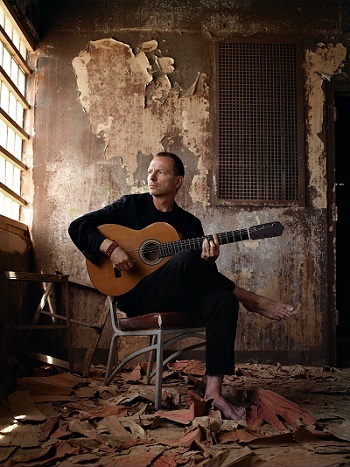 Ottmar Liebert has been nominated for five Grammy awards.